Pulled to Width lumber is a more valuable product most of the time just because it reduces the variability in yield for the user. It costs a little more to produce because of the additional labor required to “pull it” from random width lumber and also because of the net impact on the value of the lumber it was pulled from. There are numerous scenarios that would dictate the value but on average, the lumber is worth more to the user as a result. Shown below is a picture of some 4/4 FAS1F White Oak that is pulled to be 5″ – 5.5″ in width. In addition to that, we also have availability of some ripped to width 4/4 FAS1F White Oak. There is 3″, 4″, 5″, 6″ and 7″ 4/4 FAS1F White Oak! Pricing and availability can be view here if you are a registered visitor. The next step in the production process or chain of value is to create a ripped to width product. Sawmill, secondary processors and distribution yards often have the ability to do this and it makes life very convenient for the end user. Below you will see a video depicting how a 2C Walnut product looks after being width sorted. 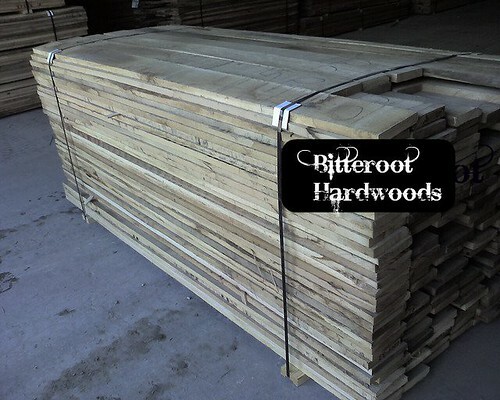 If you have an interest or need for “Pulled to Width Lumber”, be sure and call 812-248-2233 today to see what our availability is or will be.